Stephen Lamb has worked in the industry for about 10 years in Baltimore. During those ten years he has developed an acumen of what alcohol works well and pleases the palate. His cocktail’s tend to be toward a sweet flavor profile. The restaurant Verde is located in Canton in Baltimore City, Verde is a casual, upscale, full-service trattoria specializing in authentic Neapolitan pizza. Verde is developing a reputation for Signature cocktails, so it is worth your time and effort to visit for their food and cocktails. This is Verde’s version of “Corn & Oil” it is a lighter version, by substituting Dark Rum for Black Strap Rum and adding a small amount of Lime Juice. This Signature Cocktail is a boozy, yet balanced, spicy and complex cocktail. Plus, one of those cocktails that can sneak up on you. 1.5 oz. 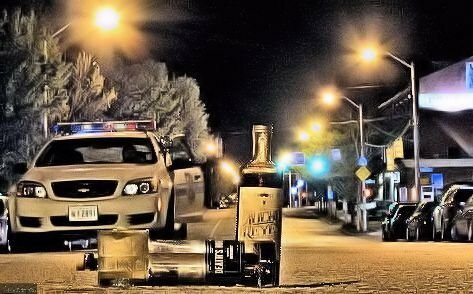 of Remy Martin Cognac. Couple of Dashes of Peychaud’s Bitters. 2 Sugar Cubes or 2 teaspoons of sugar. This Signature Cocktail is a complex cocktail for a more experienced palate. 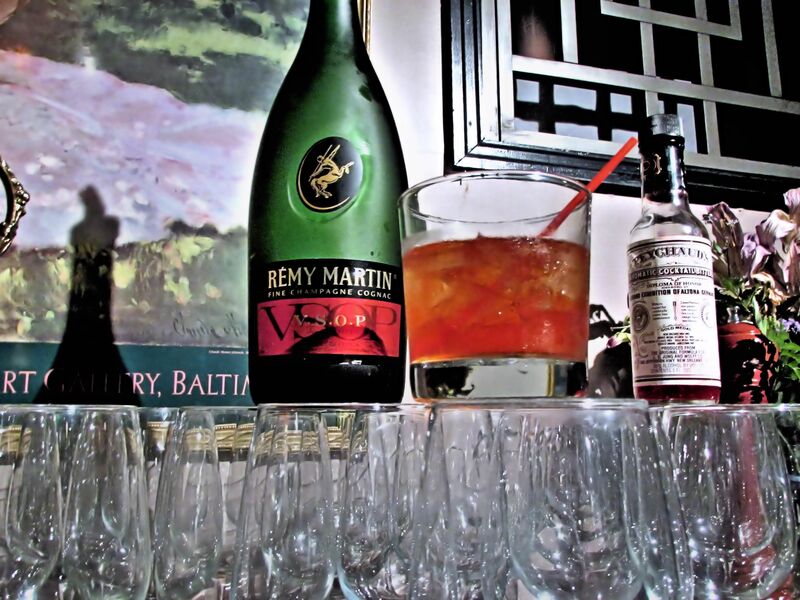 The primary ingredient being the sweet Remy Martin Cognac and the Peychaud’s Bitters with a spicy and flavorful from the Absinthe Rinse. Maya Mehta has been bartending at Bread and Circuses for three years. Fortunately we have gotten her back from her hiatus in Fiji. So look for more of her videos. 1.5 oz. 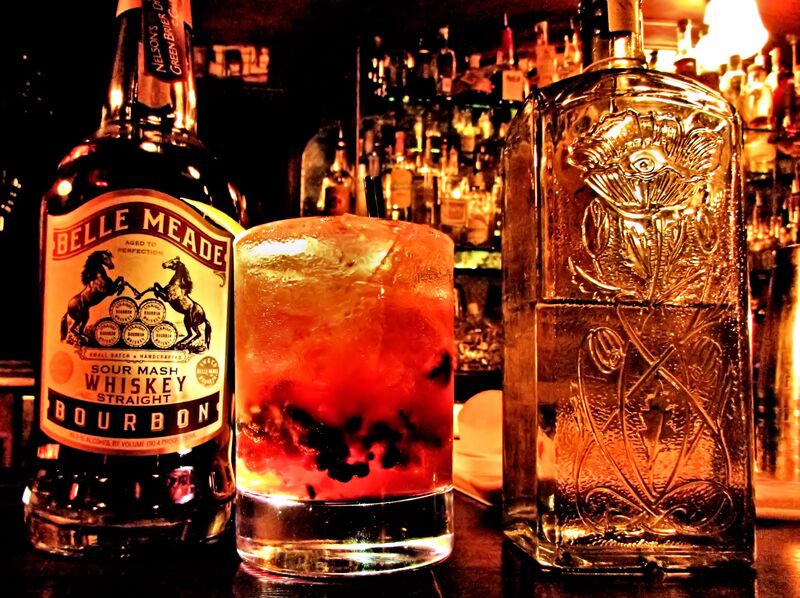 of Belle Meade Bourbon. .5 oz. Mata Hari Absinthe. Several dashes of Fee Brothers Orange Bitters. Add bourbon, absinthe and agave to shaker with ice. Add several dashes of orange bitters. Add the Orange twist and then run around the rim of the glass. Cliff Harris is our bartender in this video from Red Maple. Those of you who have been to our site before should recognize Cliff from Tapas Adela. So if you would like to see other cocktails he has done you may do so by doing a search for Cliff. Red Maple is located in the Mt. Vernon area of Baltimore it is known for its tapas plates with global influences. Red Maple has received many accolades for its cuisine as well its ambiance. Red Maple offers many different environments for you to enjoy, the Fireside Lounge, Rainbow Room, Garden Terrace and the dance floor. Red Maple also offers Salsa dancing every Tuesday night from 9:30pm until close and Salsa dancing lessons(free) every second and fourth Tuesday of the month. Ask for Martina Miller for more information about the Salsa evenings. This cocktail has a smooth forward taste of honey, followed by a slight bite from the absinthe. 3 oz. of Dimmi Liquore di Milano. 1 oz. of Fresh Lime Juice. Add the above ingredients to shaker. Double strain into your Rocks Glass (This is a footed Rocks Glass). Garnish with slice of Lime peel. This cocktail is a twist on the original Gimlet. It is using Dimmi Liquore in place of Gin. This gives the cocktail a floral accent with a slight citrus taste. It is a very enjoyable cocktail for anytime and obviously easy to make. Perez Klebahn is making the cocktail in this video. Some of you may recognize him from previous videos. 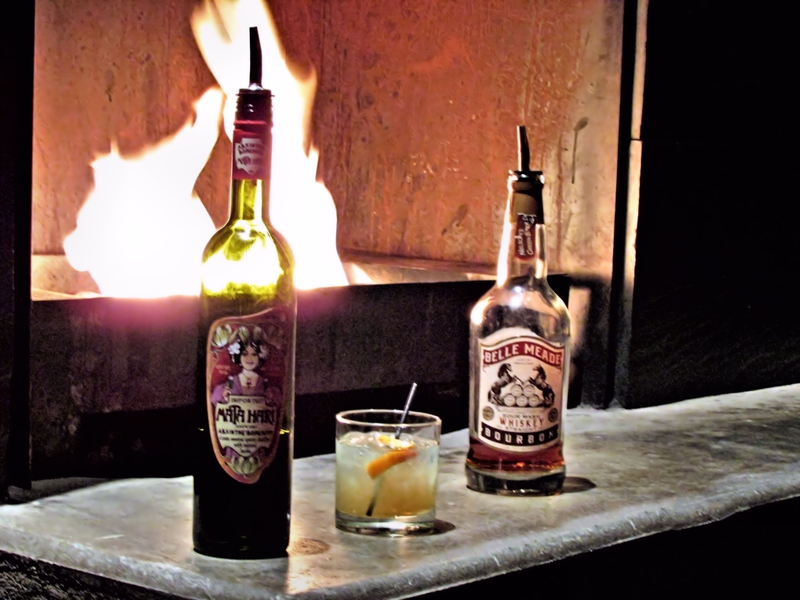 He is very knowledgeable and well respected in Baltimore for his creativity behind the bar. So if you have the chance to enjoy a meal at Verde be sure to have Perez make you one of his cocktails. The restaurant Verde is located in Canton in Baltimore City, Verde is casual, upscale, full-service trattoria specializing in authentic Neapolitan pizza. •2 Dashes of Black Walnut Bitters..
•Juice of 1 Lemon Wedge. •Using an Old Fashioned Glass add the Blackberries, Simple Syrup, Black Walnut Bitters, and the juice from the Lemon Wedge. •After muddling then add the Bourbon, Lemon/Lime Soda, fill the glass with ice. Ian Clark of Fork and Wrench has once again delivered in the clutch. Ian has a great eye, when it comes to his love of photography. I am a firm believer that he uses that talent when he is creating his cocktails. Be sure to stop in to Fork & Wrench, pull up a stool and have a cocktail with Ian.